Used Campbell Revolution Flow Wrapper Machinery for sale!!! Campbell Wrapper is a leader in horizontal flow wrapper packaging machinery. Campbell Wrapper Horizontal Flow Wrappers accommodate a wide range of food and non-food applications. New models include the Pioneer, Heritage, Legacy and Revolution. Models are available for hard and soft film applications. 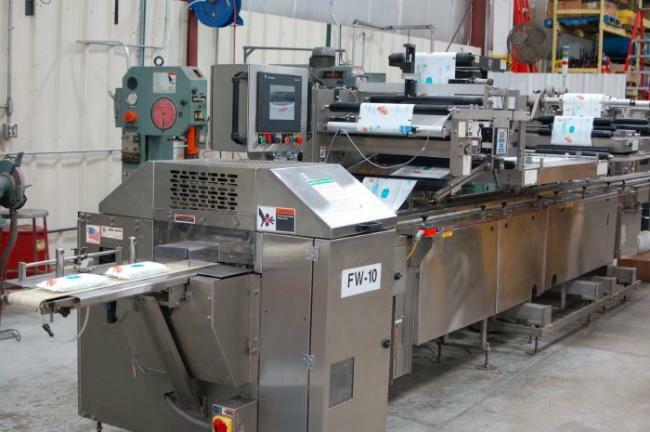 Used Campbell Wrapper Revolution II horizontal flow wrapper for sale!! !